In our last post, we broke down some of the basic beginner steps for creating a blog for SEO. Now that your blog is set up, we’ve got a few more ways for you to make it stand out for search engine optimization. But first, let us tell you a little thing or two about SEO. 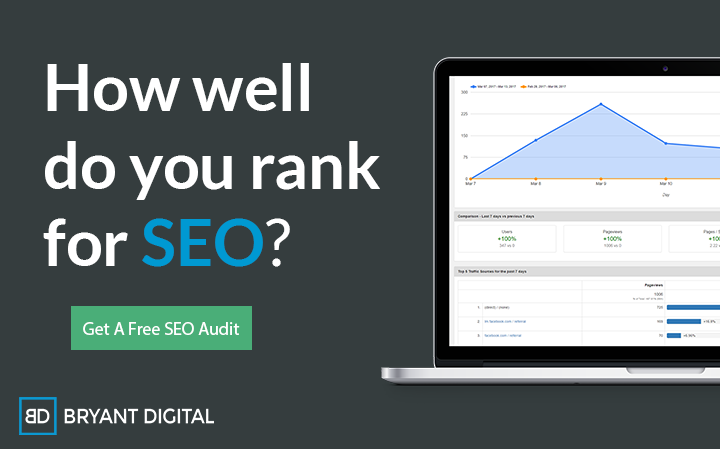 In short, it’s what affects your website’s search engine ranking. The most vital elements that a search engine scans for are keywords, hyperlinks and backlinks as we mentioned in out last post. When looking for relevant sites to rank in the results for a particular search, search engines will scan your site for keywords relevant to the search phrase. It will also scan your site for links to other websites, as links are usually a sign of a website’s credibility. Your business’s website might have already implemented as many links and keywords as organically possible, but the reality is that you could probably be doing more. In order to pop up as a primary result on various search engines, your company will need to have new, frequently-updated SEO content for the search engine to, well, find. This is where blogs can play an essential role. Many companies implement blogs into their websites to create a more natural way of embedding SEO keywords and links. The more blog posts you write and publish, the more keywords and links that are embedded in your website, which will translate into better SEO. While your company has freedom to write the blogs about any topic under the sun, you’ll obviously want to narrow it down to your field. If you’re a shoe vendor, write about fashion. If you’re a hot dog stand, write about local food. Whether you provide a product or a service, there’s something about your company that you should be able to greatly expand on. Take our company blog, for example. We specialize in Virginia Beach digital marketing, and we use our blog to share tips and tricks of the trade. Whether it’s social media advice, production pointers, or even a blog about how to run a blog, all of our content relates to our field and it’s easy to write because we’re passionate about it. But first, you’ve got to get them there using SEO tactics. Here are 6 tips on writing an effective blog for SEO. According to Backlinko.com, higher search engine rankings tend to be websites that contain longer content, averaging at about 1,890 words. It’s all about the practicality. The longer your blog is, the more opportunity you give yourself to implement the keywords, links, images, and whatever else you decide to use for SEO. An almost 2,000 word blog may seem like a tall task, but if you pick blog topics that are fun and unique while also relating to your field, the blogs can write themselves. 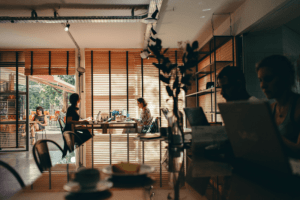 While blogs are a successful SEO tactic, they also provide a platform for you to connect and reach out to your followership or desired community using your own voice. If you own a shoe brand, you don’t have to write every blog about your particular shoes, or even write exclusively about shoes. You have the opportunity to go in depth about fashion in general and develop the voice of your brand on your own terms and on your own website. The ultimate goal is to create content that a consumer in your target market would want to engage with when they see it pop up in their search results. Once they’ve made it to your blog, they’re on your website and are now exposed to your product or service. Images (or lack thereof) can make or break your blog. Adding at least one image can significantly increase your link authority according to Backlinko. You’ll want to try to use original photos as much as you can instead of primarily buying stock images, as it’s simply more interesting to a reader than a bland stock photo. Adding images also gives you an additional opportunity to use keywords, and it’s all in the alt text. The average reader won’t engage with the alt text, so this gives you an easy way to use SEO blog keywords without having to assimilate them into a full sentence. Images also help your blog in its scan-ability. it’s hard enough to keep readers interested in the text; that’s why adding visuals is always a practical solution to keeping online visitors engaged. It’s not 1996 anymore. People want visual aids and organized content to help them make sense of a blog they’re likely to just be scanning. Anchor text is the word or phrase that is clickable text in a short link. For example, in the sentence “Bryant Digital is a key competitor in Virginia Beach digital marketing,” Virginia Beach digital marketing is the anchor text. While there are many different types of anchor text, the most essential one to your blog is exact match anchor text. This means that the anchor text completely matches frequent search phrases, and google uses them to figure out what your hyperlink connects to. The most relevant links to the search phrase and the most exact anchor text results in a higher search engine ranking. While exact match anchor text is extremely important to utilize, there’s also a fine line between optimization and over-optimization. Using too many exact match anchor texts can result in penalization from the search engine, and ultimately a lower ranking. Everything in moderation, as they say! Reader attention spans are extremely short, and it’s no secret. Online reading has been jettisoned for skimming. People read with a purpose and when they don’t find what they’re looking for, or they just simply aren’t engaged, they move on. Using SEO tactics, you’ve lured readers to your blog, but now you want to keep them there and engaged. This is why you’ll want to use headers and subheaders. Since most online readers scan blogs, you’ll want to make sure that yours is organized an a scanner-friendly way. Being greeted with a longform blob of 2000 words without anything broken apart isn’t appealing to anyone; readers need organization. Employing multiple headers, subheaders, bullet points and smaller paragraphs make for clearer, scannable information that’s more appealing to a reader. What many blogs don’t consider is that you can link to other pages on your own website. This not only improves SEO through providing your website its own backlinks, but it also gives the reader another push to explore other parts of your website. You can link your blog to a service page, or even to another one of your blogs, ultimately creating a web of links that adds a cohesiveness to the information on your website that viewers and consumers will take notice of. The goal is to aid the reader in fully engaging with not only your content but your product or service as well. As you already know, adding hyperlinks to your blog or webpage is one of the golden rules of SEO. It helps the search engine determine whether or not your site has credibility; you’re showing the search engine that you’re using external sources to back up the content. But this doesn’t mean that you should link to just any website. Linking to reputable sources like a national newspaper, popular blog, social media site or even an online encyclopedia will improve SEO. Search engines can tell if you’re linking to a spammy or non-credible website, and will rank your website accordingly. Not to mention, you want your readers to be consuming credible information on your site. You’ll want to do research using these reputable sources to give your audience the best content possible, while also making your company seem ethical and relevant. Some reputable sources that we use at Bryant Digital for our blogs are: news outlets like The New York Times or The Washington Post; online encyclopedias like Wikipedia; and highly accredited technology blogs like The Google Blog. SEO can be tricky. It’s tough to organically incorporate unnatural words or phrases into an unsuspecting website. But the beauty of blogs is that you can work with the technical nature of SEO through the creative outlet of blogging. They give you an opportunity to speak directly to, connect with and be a presence in your field and community. But creating a blog just to check it off of your to-do list isn’t enough. Blogs require maintenance and strategy if you plan to use them for SEO, and hopefully we’ve given you a head start with the pointers we’ve provided above. 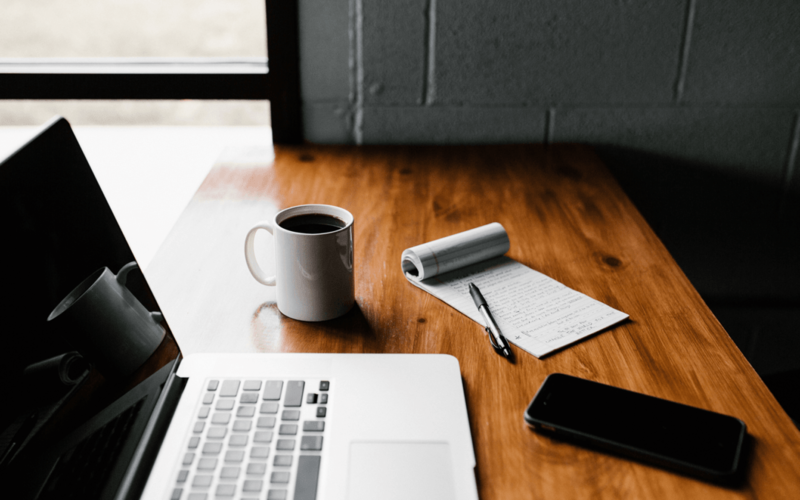 It all chalks up to this: the more SEO tactics you incorporate into your blog, the more you’ll be able to feed this business-to-consumer connection and ultimately create a successful digital presence.